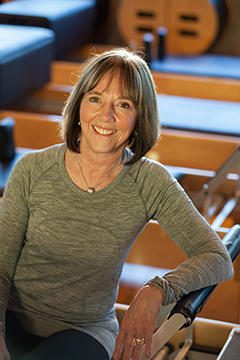 One “beginning of great things” occurred when Pat Guyton opened the very first Pilates studio in Boulder. 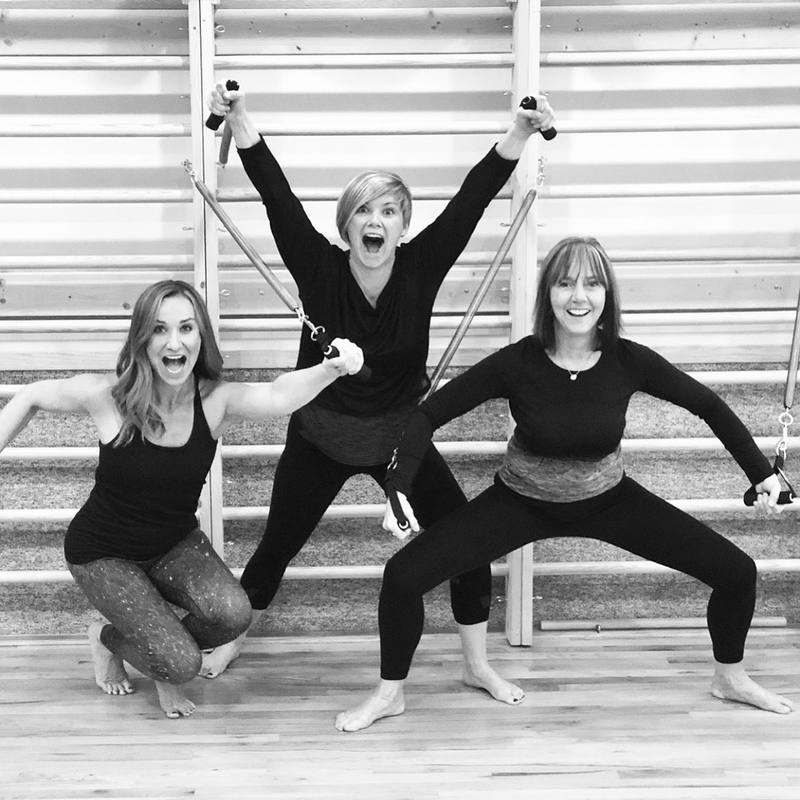 Pat Guyton embodies…Pilates (say that three times fast). Pat is a Master Teacher, published author, featured speaker at medical conferences including the American Academy of Osteopathic Medicine annual convention, Pilates Method Alliance Alumni Board Member, former registered physical medicine assistant and CO United States Gymnastics Federation coach, video collaborator and distinguished teacher at Pilates Anytime, as well as a sought-after ambassador of purposeful Pilates instruction across the globe. But Pat’s clients and students simply think of her as the perpetually positive, remarkably limber, hardworking, and insightful one with a heart for healing. Negative language, dogmatic correction, and perfection have no place in Pat’s life or her studio. Every program is crafted to set the individual free, not chain them to an on-site program. Pat develops every move with realistic, heartfelt consideration of the whole person and practical application for their life. Pat feels fortunate to have found her calling early on and has never strayed from it. Pat lives to care for others. After 6 knee surgeries and multiple knee-focused programs…she was painfully stuck. Heather explored Pilates and found it a necessary piece of her healing puzzle, but sensed the narrow focus on her knee was not the solution. That all changed with Pat Guyton Pilates. 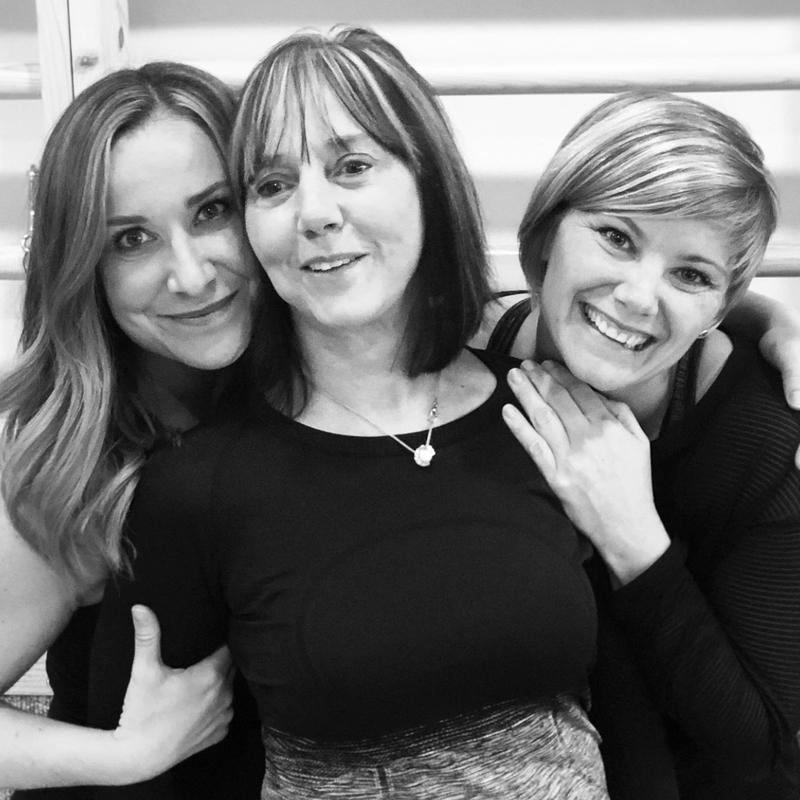 Patient, precise, whole-body instruction and articulation changed her life…so drastically she knew she wanted to spend everyday training, learning, and helping others to remove pain and live their best life. Heather beams as she recounts teaching others. Heather shares about the journey and honor of assisting a woman injured decades earlier in a near-fatal car accident. Heather helped her identify and address those prior injuries to work through them to resolve physical and emotional pain and trauma. Heather assisted her in unmasking the Post Traumatic Stress Disorder (PTSD) that held her back for decades. Heather believes we all carry the keys to unlock vitality and freedom from pain (sometimes you just need someone to help dig a little deeper in your purse to find those keys). Heather loves mountain biking and hiking with her dogs, gardening, and designing for her friends. She also enjoys great food, wine and ice cream, guilt-free now. 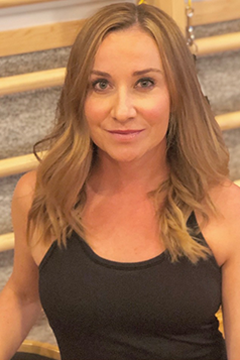 Heather applies her sunny attitude and a better part of a decade of Pilates study to help others become strong and pain-free with a positive outlook and a confident body image. People live with chronic pain. Until they can’t. Kortney remembers thinking, “This is the hand I’ve been dealt. This is what daily life feels like now.” One day the bulging discs and back pain were so intense Kortney collapsed to her knees and felt devastated. She knew something had to change. After trying many treatments that were helpful, but fleeting, it was her decision to explore Pilates as a last resort. 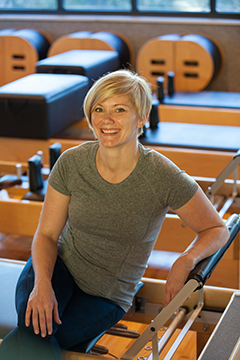 Kortney began Pilates with Pat Guyton eleven years ago and Pat’s approach was a perfect match. Now Kortney can experience all the things she loves to do, but without fear and constant pain management. Through Pilates, Kortney learned she wasn’t broken. Kortney learned that while she might have some challenges, she is also a very healthy and active person. Pilates gave her hope and motivation to enjoy a quality of life that she thought she had lost. What was lost was found and now it is even better. This is the message that she is passionate about sharing with all of her clients. Kortney has always loved to teach. As a dancer, her first experience was teaching to the younger students. She was a natural. Kortney earned her BA from the University of Oregon and continued to receive her Masters degree in Administrative Education. Kortney holds the following endorsements: Special Education, English as a Second Language, and K-12 education. Kortney led a new teacher mentorship program and curriculum development. She was Director of Education that included continuing education preparation for college enrollment. These are the strengths that Kortney contributes to Pat Guyton Pilates Conservatory and ensure comprehensive education for all students. 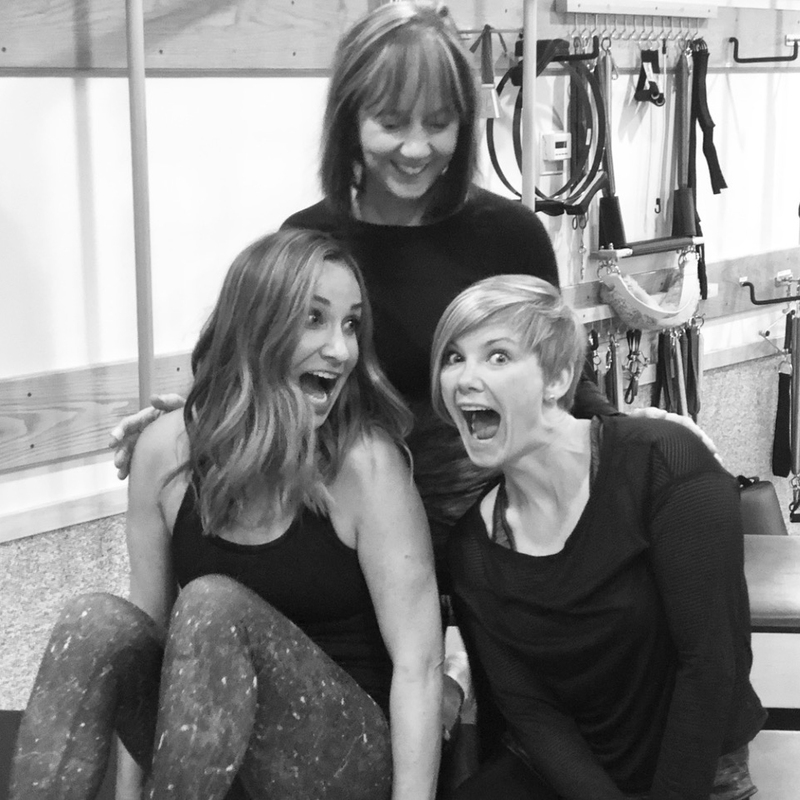 Kortney completed Pat Guyton Pilates Conservatory and is part of the PGPC team. Her background as a teacher strengthens her connection with clients. She enjoys tailoring programs, teaching with precision and care, and bringing dedication and creativity for the individual. These are all attributes that define Kortney as a professional Pilates educator. She never stops learning. Kortney’s zest for life requires a body that cooperates. And boy, it does. She skies, travels, bikes, hikes, runs, chases her boxer dogs, her kiddos, and her Ironman husband. She balances her family life and teaching career with joy. She motivates others to elevate their game! Yuuko began dancing at 12 years in Tokyo, Japan. After completing her professional training, she performed for several Japanese dance companies. She also performed in television and in film in Japan, Canada and Greece. While dancing professionally, she was teaching dance in Japan and in Montreal, Canada. Yuuko studied Pilates for two years with Romana Kryzanowska where she earned a Pilates Certificate in 2001. 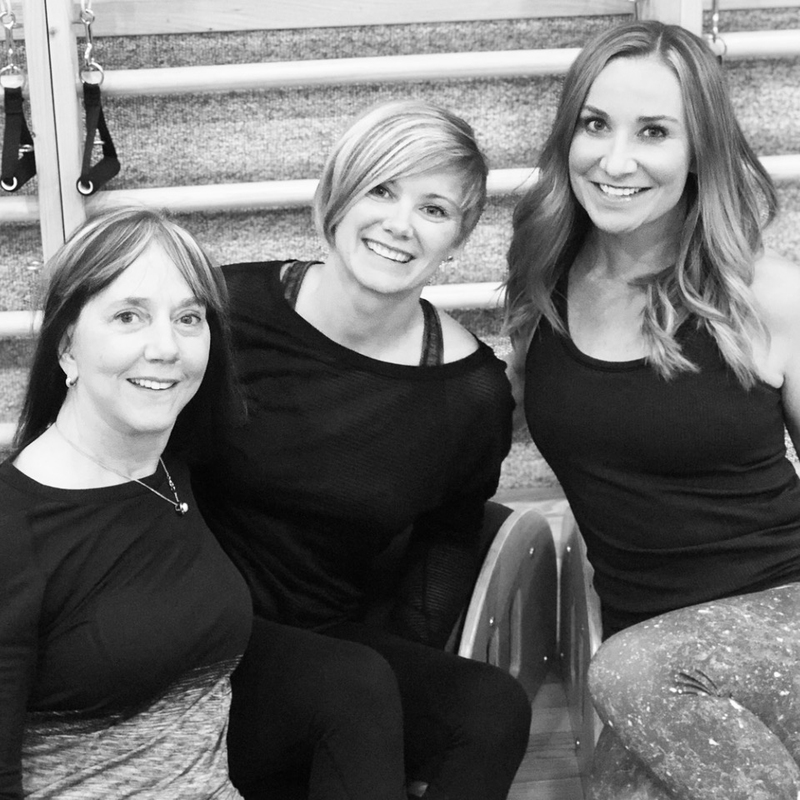 She continued her Pilates study with Ron Fletcher, Kathy Grant and Deborah Lessen. Yuuko is a PMA member and is a PMA Certified Pilates Teacher. Yuuko has been a presenter at PMA Conference (2005 to 2008 for 4 years). She has been an assistant presenter at PMA Annual Meeting with Deborah Lessen, and Pat Guyton. Yuuko also is a translator for other international teachers visiting Japan including Ron Fletcher, Pat Guyton, and Deborah Lessen. 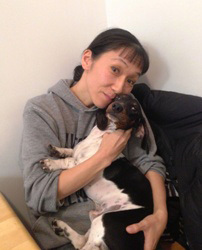 Yuuko assists and demonstrates for Pat Guyton in the USA and in Japan. Currently, she is currently enrolled in Dance Medicine with Marika Molnar at Westside Physical Therapy. She has studied with Irene Dowd for two years. Pat Guyton and Yuuko met in 2004. They shared a mutual respect for one another which developed into a desire to share the work of their respective mentors with other teachers and students. This relationship has developed into a collaborative effort to preserve the Pilates that was given to them by their respective teachers. For the past five years, both have been working on a comprehensive syllabus; a work that is in progress. Yuuko is a generous and caring teacher. She is married and lives in NYC. It is her wish to share Pilates for the benefit of others who need health and healing. She loves her two dogs, supports a devoted group of students, and is a true friend to others. What’s Pat up to next?